UAE-based facilities management company and sustainability consultancy Farnek said it has been awarded new contracts worth over Dh157 million ($43 million) from several major organisations in the UAE. These include Dubai Airports, The Dubai Mall, Rakbank, Emaar’s new retail centre, Springs Souk, Abu Dhabi Municipality and the new residential community in Dubai South, MAG 5 Boulevard. 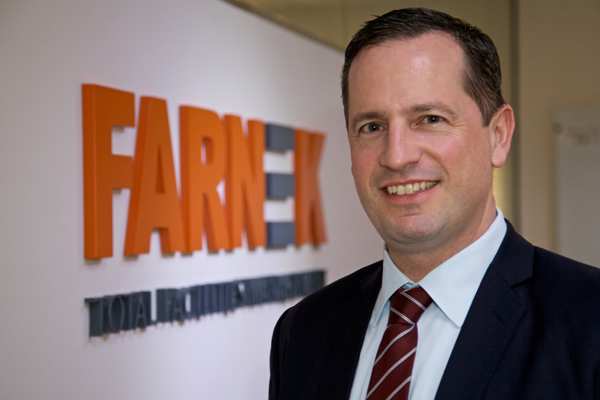 Farnek is mobilising 1,170 additional staff and specialist technicians, to manage a range of services including mechanical, electrical and plumbing (MEP), cleaning, waste management and security, said a top official. Commenting on the win, CEO Markus Oberlin said: "These vindicate our business strategy. We endeavour to add value whenever and wherever we can, by being innovative and adopting the latest technology in a sustainable manner, to deliver our promise to our customers." “It also speaks volumes for the quality of our experience and service offering across a range of vertical industry sectors, including retail, aviation, residential, banking and government. We are now looking forward to delivering our promise,” noted Oberlin. In Dubai South, Farnek will deliver an end-to-end service to MAG 5 Boulevard, by providing an integrated facilities management and home maintenance solution. The company will be responsible for cleaning, security and DLP (defect liability period) management in the common areas, while its home maintenance division, Hitches & Glitches, will provide snagging, apartment handover and DLP management to over 500 apartments. Finally, Farnek will add to its existing Musanada portfolio in Abu Dhabi with an appointment by Abu Dhabi Municipality for a four-year contract to provide MEP services and managing agent services. Farnek’s newly signed contracts include a three-year agreement with The Dubai Mall for soft services across all aspects of the mall including Fashion Avenue and the Leisure and Entertainment areas. A total of 500 staff will be mobilised, he added. According to him, Farnek will be incorporating a waste management strategy for Dubai Mall. To support this strategy, the Emarati firm will utilise research from its innovative and unique shopping mall benchmarking study, the first of its kind in the Middle East, launched earlier this year. The project was designed to evaluate and provide a benchmark for the energy, water and waste performance of each mall – with the objective of determining effective ways to reduce their impact on the environment and to save money on their utility bills. In addition to The Dubai Mall, Farnek will also be providing facilities management services to Emaar’s newly opened Springs Souk, said Oberlin. The year-long contract will cover all MEP, specialist cleaning services and DLP management for the entire community centre which includes retail, food and beverage (F&B) outlets and a cinema, it stated. Within the vibrant aviation sector, Farnek has signed a three-year contract with Dubai Airports to provide highly skilled technical manpower to both Dubai Airport and Al Maktoum International Airport, located at Dubai World Central, which will initially see 350 staff supporting operations from an engineering perspective. “Dubai Airports, alongside some of our other contracts, will use the award-winning smartwatch technology providing us with real time tracking and transparency which in turn improves efforts to fulfil operational commitments, enabling efficient service delivery, providing increased customer satisfaction and enhanced trust and loyalty,” added Oberlin. In the financial sector, Rakbank has awarded Farnek the contract to carry out soft services for 38 branches across the UAE, in addition to its current contract for their head offices located in Ras Al Khaimah and Dubai Silicon Oasis.